I’ve just put together a very simple prototype for a USB MIDI controller. I’m using Teensy, which is a programmable circuit board, which lets you code small programs in C, and upload them to the board. 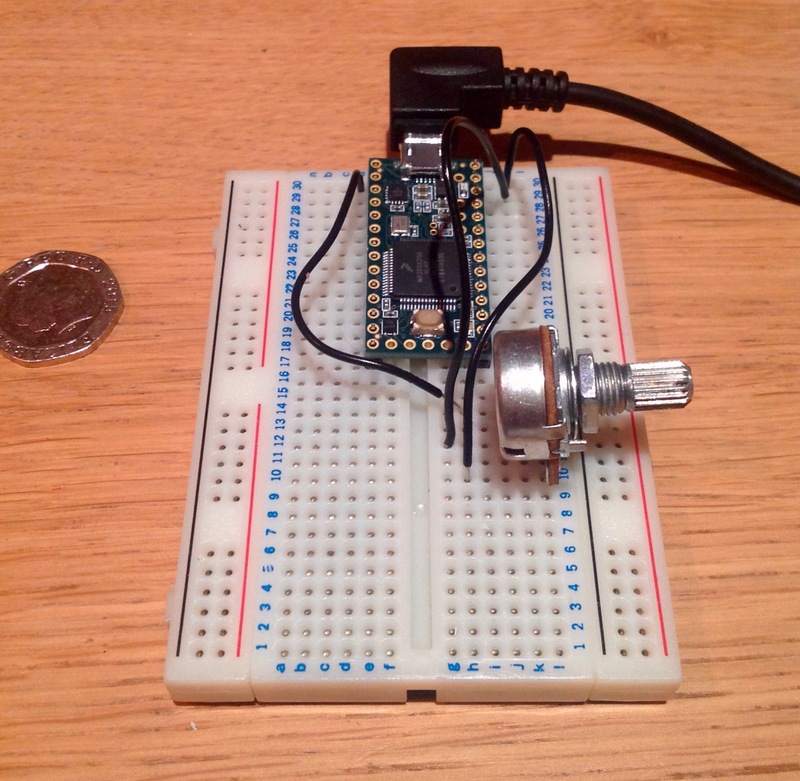 Very much like Arduino, but smaller, and easier to setup MIDI on. I’ve just prototyped it on some breadboard. Once I’ve got a setup I’m happy with I can start on the enclosure. It’s not working quite right yet, more details to follow.